The Syn is a Greg Nelson design. Its got a continuous rocker which is great coz I’m a cable girl! 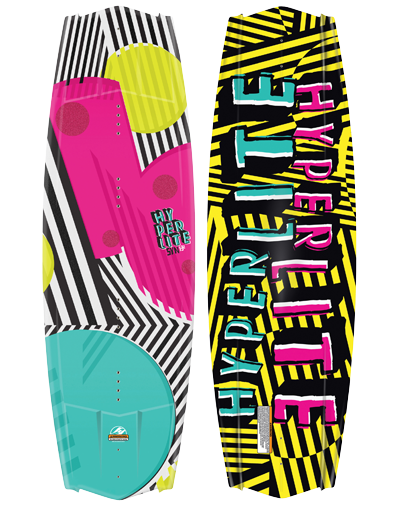 It also carries awesome speed into the wake and has all the pop you need. With a variable edge design which rolls from soft between your feet to a sharp cupped rail tip and tail, this board is as quick and responsive as they come. A new feature that strays from traditional Hyperlite shapes however is the Syn’s shorter curved molded in fins which I love. Ending almost two inches from the tip and tail of the board, its just enough fin to know its there and working but nothing to delay release off the wake. 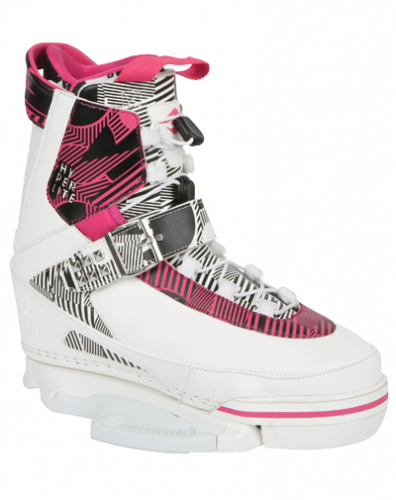 Until now, there has never been a boot in the Hyperlite line designed specifically for a female rider. The completely new Syn boot is built from the ground up to fit and function for ladies looking to take their riding to the next level. Starting with a ladies specific last, the new Syn has reduced internal volume and a lower cuff to accurately fit a women’s foot and calf. The dual Quick Cinch lace system also allows for fine tuning of boot tension between the upper and lower zones. 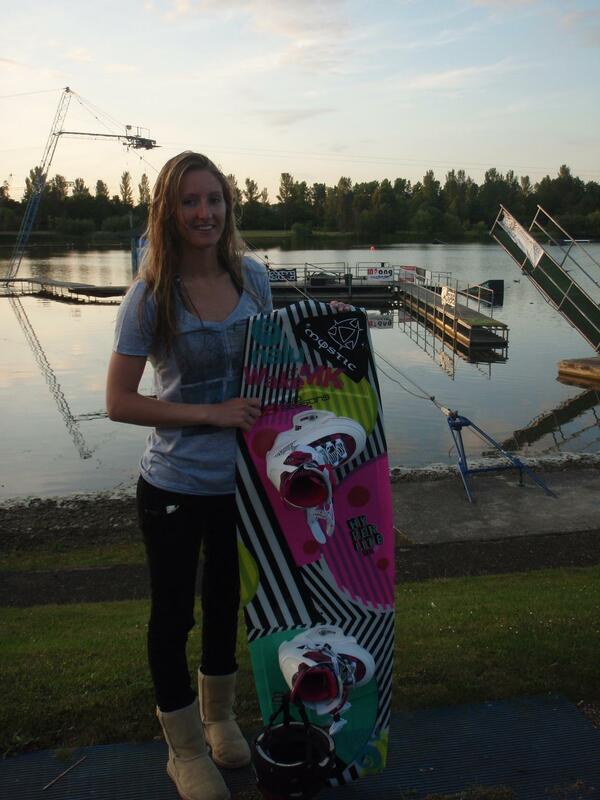 All of these features are wrapped up on our new Low Pro plate system which puts the rider closer to the deck of the board for maximum feel and control.